Books | George McCloskey PhD. McCloskey, G. & Perkins, L.A.. (2013). 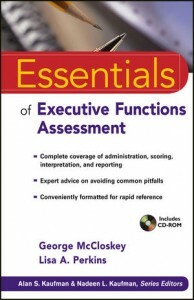 Essentials of Executive Functions Assessment. New York: John Wiley & Sons. McCloskey, G., Perkins, L. and VanDivner, R. (2009). 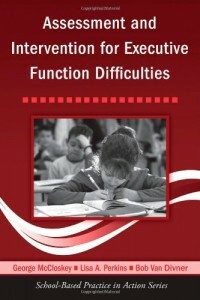 Assessment and Intervention for Executive Function Difficulties. New York: Routledge Press.